CBCSports.ca takes an in depth look at coach Norio Sasaki's Japanese side that will compete at this summer's FIFA Women's World Cup in Germany. Coach: Norio Sasaki is rapidly making a name for himself in Asian coaching circles. As he prepares for his first Women's World Cup, Sasaki has already had a taste of the big time. He led Japan to fourth place at the 2008 Beijing Olympics where his team lost the bronze medal game to Germany. He was also shortlisted for FIFA's 2010 Coach of the Year for women's soccer after guiding his team to gold at the 2010 Asian Games. Strengths: Japan is a technically proficient and athletic side that can run opposing teams into the ground... The Asians are dangerous going forward, and can rely on talented stars such as forward Kozue Ando and captain Homare Sawa, a veteran of five World Cups… The roster is a healthy mix of veterans (Sawa and midfielder Aya Miyama) and exciting youngsters (Mana Iwabuchi). Weaknesses: Record of under-achievement: Japan has competed at every World Cup, but has only once advanced beyond the group stage… Japanese are currently ranked No. 4 in the world – that flatters the Japanese, who may believe their press clippings a bit too much… They face a tough test vs. England in their final match, which puts pressure on them to earn maximum points in their first two games. Player to watch: Homare Sawa — A veteran of four World Cups, Sawa is the finest player to emerge from Asia. The tiny, combative central midfielder is noted for keeping her composure under pressure, and she will be a crucial presence for Japan in Germany. Prospects in Germany: Probably not as good as their world ranking suggests. As the seeded team in Group B, Japan will be expected to reach the quarter-finals. The toughest test is likely to come from England so the Japanese must gather as many points as possible from their games against New Zealand and Mexico. Their unconvincing World Cup record does not inspire confidence but a series of committed performances should be enough to see them advance for the first time since 1995. 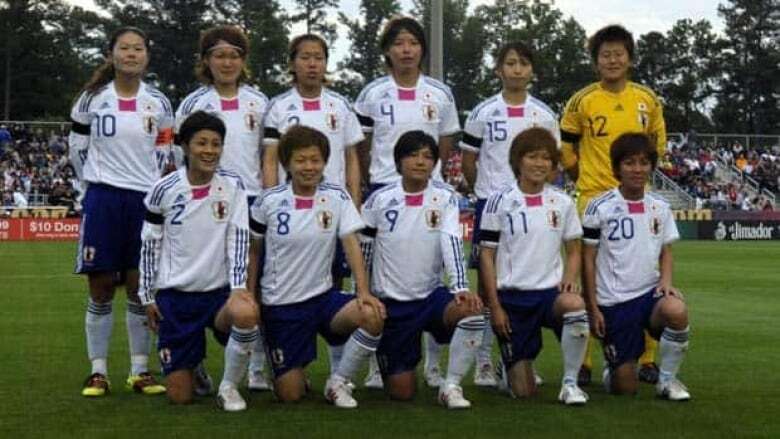 2011 qualification route: The Japanese qualified for Germany only after a rollercoaster ride through the 2010 AFC Asian Women's Cup. After winning the group with a perfect record, Japan lost to Australia in the semifinals, leaving a nerve wracking playoff against hosts China. Japan prevailed 2-0 to maintain its record of having qualified for every Women's World Cup. Japan has maintained its position among the top nations in women's football since making its World Cup debut at the inaugural FIFA Women's World Cup in 1991, appearing in every tournament since. A quarter-final berth at the 1995 event in Sweden was the best-ever result for the Nadeshiko. In that playoff game, the Japanese fell 4-0 to the Unites States. Four years ago in China, the Japanese started out strong, beating Argentina after drawing its opening game against England. But a loss to German in its third game condemned Japan to yet another first-round exit.